How Do Indoor Games Help Dogs To Stay Healthy During Cold Months? Its winter, and you must be always wondering how to keep your pet healthy, energetic and active as there are no outdoor activities to follow due to the white layer spread outside. As walking and other outdoor games do not take place, it is only those keen who are looking for the ways for keeping their pet healthy during the colder months. However, it is also a matter of concern for those who never think this as an issue because lacking exercise and activity can result into obesity. 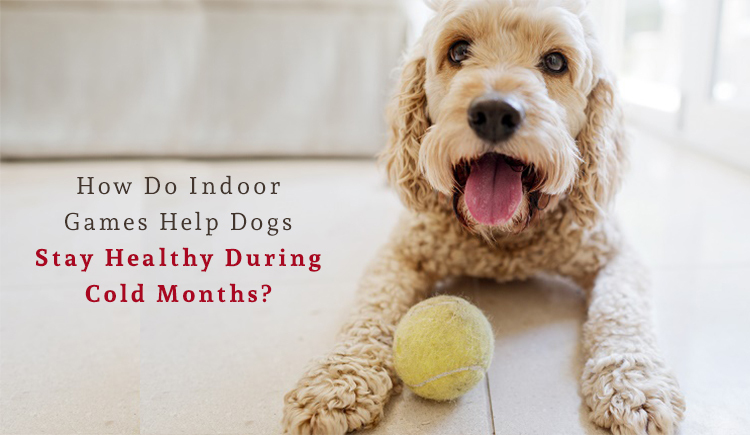 Let’s come forward to find out how indoor games help your furry pal to stay healthy, active, energetic and in the best shape shunning that obesity. How Indoor Games / Playtime Can Benefit Your Dog? During winter, you can take your furry pal to indoor dog parks. These dog parks are arranged with special facilities considering the requirement and hygiene of dogs. Indoor dog play parks have many other facilities available, these indoor dog parks are separated from indoor dog playrooms. This helps dramatically to cut short the chances of getting diseases which are airborne. As it’s cold weather outside, playing in such dog parks cut down the possibility of getting any infection or health condition due to chilly winds. When your dog is indoors, they are highly safe, free from threat of any accidents, theft and other unusual incidents. Moreover, when playing indoors, they are directly under your supervision so there are no chances of getting wound, cut or bruises. Furthermore, when taking them to indoor dog playgrounds, these rooms or facilities are 100% guided by trained staff or experienced personnel. These people are very well acquainted with dog’s temperament, body language and their different life styles. They ensure that the environment remain safe and friendly for all dogs in spite of different size of canines with varied behaviors are present in one arena. Indoor games boost activeness as weather is not the hindrance. Mostly cold weather hampers movement and dogs can’t play comfortably outdoors. On the contrary, indoor games are carried out easily, and your dog is happier to play with no snow or chill winds to affect them. In a nutshell, the frosty month will not at all come in the way of your pooch’s healthy and active lifestyle, once you adopt indoor games for your furry pal. Indoor games keep them engaged, happy, active and full of energy. So, let’s play a fun-tastic in-house games with our pooches to overcome those chills and frosts.